I absolutely love this tea. These flavours together are really good. It is a nice change from the regular flavours. No real artificial taste. It is a super treat from the ordinary. I defiantly would buy this product again. 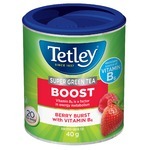 Tetley is one of my favorite brands of tea. Always provides great quality tea's. This one is one of my favorites, the flavour is to die for. Great fall flavour for those walks when your outdoors. 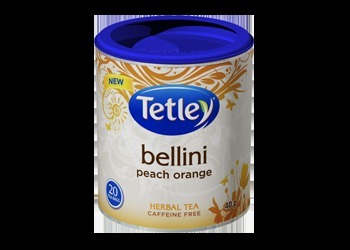 Wonderful Tetley Bellini Peach Orange Herbal Tea! I enjoy tea both hot and iced...black, green, white, herbal...bags or loose...supermarket or specialty stores, I enjoy a good variety all year long. 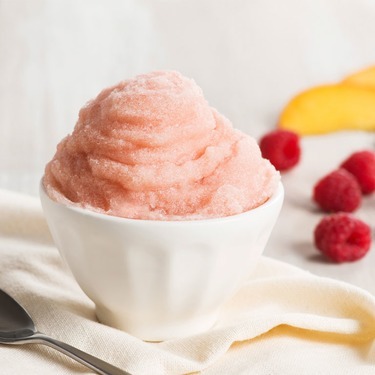 I prefer fruity varieties best and I get excited when I find new blends to try. 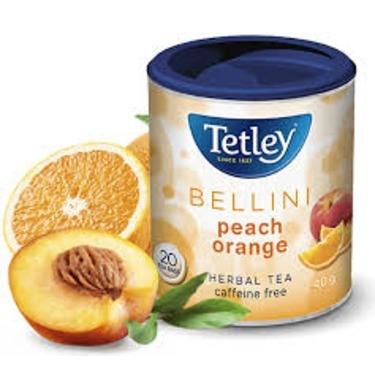 I happened to come across Tetley Bellini Peach Orange Herbal Tea on Instagram of all places. It looked and sounded heavenly and I had to find it and try it. Not easy to find, but I did finally find it and I'm so happy I did. It was appealing to me, from the beautiful fresh fruit slices on packaging to the name. The light smell of peaches and oranges greeted me when I broke the seal. Very light, I wondered if it would be strong enough to taste. Once the hot water hit the tea bag I could start to smell the wonderful blend. It was even fun to watch it change to a lovely peachy tone. It had a nice fresh taste to it along with a fresh smell. I loved it! It looked, smelled and tasted wonderful! It made me smile and feel a little relaxed. Within a few dips I was already imagining it as Iced Tea and making my own flavour blends! 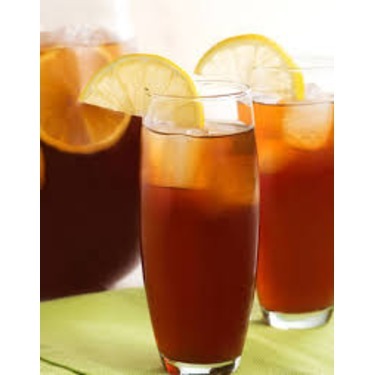 (It is great as Iced Tea, perfect with a slice of citrus or peach to make it even better and prettier) I enjoyed everything about this tea. If you like peaches or stone fruit as well as oranges or citrus I highly recommend trying this Herbal Tea blend! 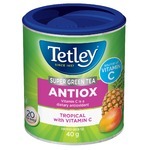 This tea is my absolute favourite! I like how it is not a dark tea, and it does not have caffeine, so it is relaxing to have before bed, or at any time of the day. 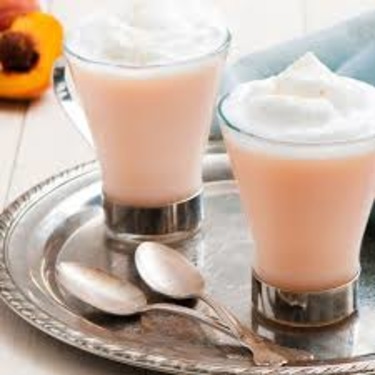 It has such a good flavour that you can enjoy it without sugar or milk, however I sometimes will add some honey when I am sick and that adds a little bit of dimension to it. 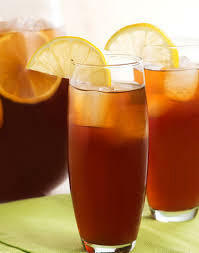 This tea is really easy to prepare, and is a good price, and value to buy! The flavour is great and I think it will make an amazing iced tea for the summer. Nice light and fruity. 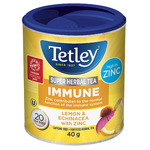 Tetley Teas can get a bit pricey mainly because there are so many varieties I have a hard time buying just one package lol. But the good news is it's usually always on sale somewhere and it is worth hunting it down. 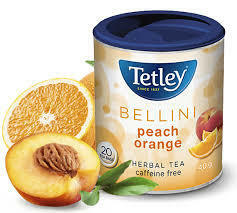 I absolutely love peach flavoured things, especially teas and was super excited to try this tetley brand as I am fond of their other flavours. Unfortunately the taste was very disappointing. I only ended up using one teabag before giving it away because I found it undrinkable (and the person I gave it to ended up disliking it as well!). 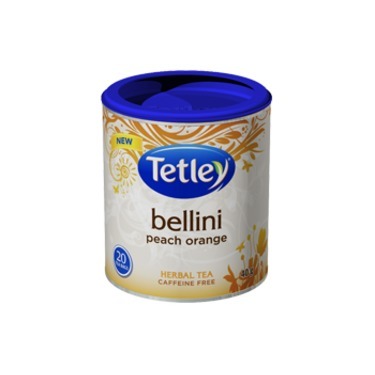 I think the off taste is because they tried to re-create the prosecco flavour in the bellini which really doesn't match a tea. The flavour of this is "Peach Orange Bellini" and I really like it. For about 10 cents per bag, cost couldnt be better either! 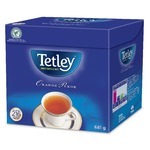 The flavours are quite nice and it isn't boring like some teas can get.